"The painted portraits show a convincing likeness with the represented persons. Music for beginning as well as advanced music lovers, from Messiaen to Piazzolla, a program which gives a good image of composing after World War II." De Toonzaal in Den Bosch. 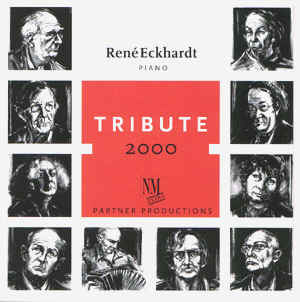 This production formed a tribute to then ten composer mentioned above. 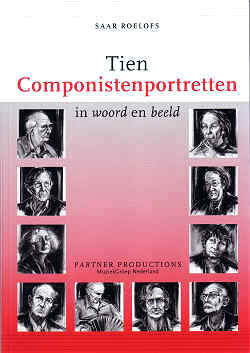 During the piano recitals portraits of the composers, painted by Saar Roelofs, were exhibited in the concert hall and /or as projected on the stage. See Composer Portraits.